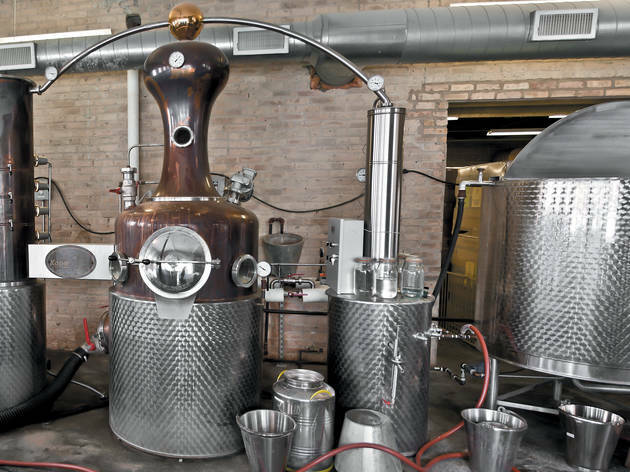 Chicago's one and only craft distillery, run by husband-and-wife team Robert and Sonat Birnecker, makes small-batch spirits, whiskey and liquors. The product passes the localvore test, and it's kosher and organic to boot. 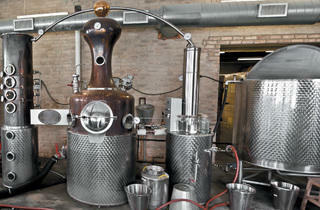 Tour the grounds and sample the products, which range from rye to chrysanthemum honey liquor. I came here for the cocktail class. The teacher was very helpful. However, we were put into groups of four and only got to make one cocktail each. We ended up having to split one cocktail between 4 people. It was still a very fun learning experience though! I guess if we all drank four cocktails we'd be there all night!